Having a barbeque in your garden on a sunny day is one of the most relaxing things to do with family and friends. Cleaning a BBQ is one of the least enjoyable things to do! Specialist Oven Cleaners provide professional BBQ cleaning London at very affordable and competitive prices. Our experienced BBQ cleaners don’t just clean a barbeque so that it looks clean; it is also hygienic. BBQs need to have their surfaces thoroughly cleaned and de-greased. When we cook on them they accumulate layers of fat and, with wood burning BBQs, ash. This layer looks unappetising, provides a home for bacteria and is even a source of bad odours. However, cleaning the flat or rounded surfaces is not too difficult. The crannies and corners where grime and dirt collect require expert and meticulous attention. The other challenge is BBQ grids where food and grease particles become really burnt on and hard to remove. All the removable sections, for example racks or rotisseries, are taken out and carefully cleaned before being replaced. Hoods and covers are also cleaned and all carbon and grease removed. Our BBQ cleaners only use eco-friendly / biodegradable and highly effective cleaning products and methods to remove grime and dirt. 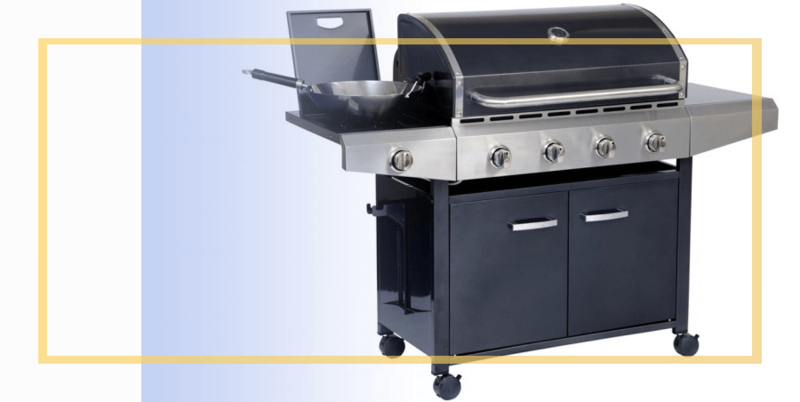 The surfaces of the BBQ are not damaged during the cleaning process. This is because we don’t use any hard scouring pads or harsh solvents. Apart from looking so much better, having a clean BBQ offers other advantages too. A BBQ will last much longer if it is kept clean because regular cleans prevent corrosion. The other and very important consideration is hygiene and health. A clean BBQ means that your food is not coming into contact with dirt, grease, bacteria and carcinogens found in burnt on carbon. Regardless of the size, make or model, the advantages of having it regularly and professionally cleaned are significant. For more information and a free quote please contact us on 020 8629 5335 or complete our online contact form here.